Opera launched a complete redesign of its desktop browser to bring new web interface more visible. Top among the features is the integrated messenger apps. The project that was in beta under the Codenamed “Reborn” is now available as a stable release. All Opera users are going to receive the update automatically in the coming days. The most visible new feature is quick access to messaging apps, such as WhatsApp, Telegram and Messenger. You can open a popup with your conversation lists and start chatting from your browser using the new sidebar. These shortcuts are always visible on the Speed Dial homepage. And if you choose to pin the new sidebar, the shortcuts will stay available while you browse the web. 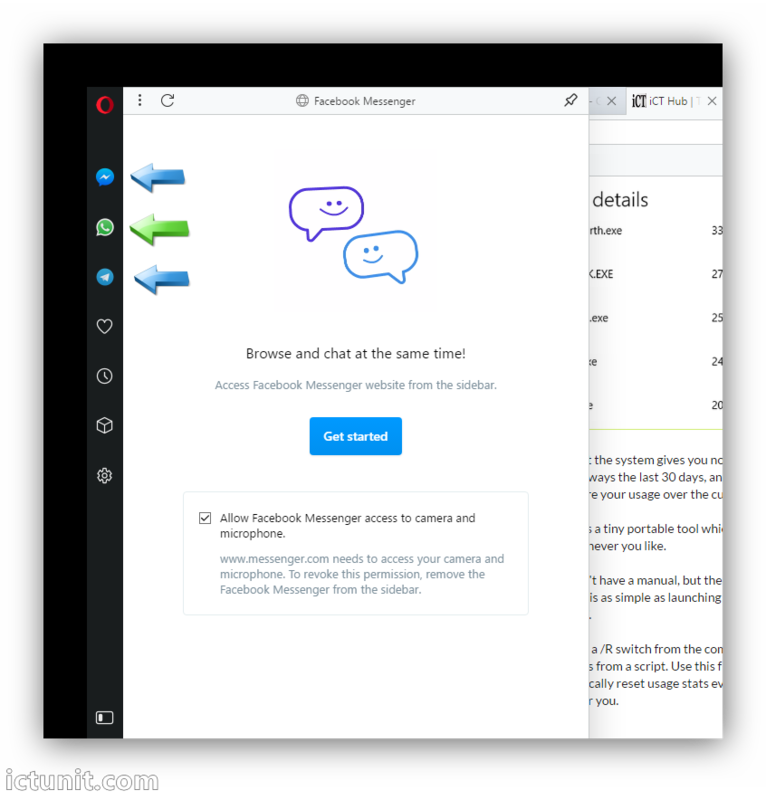 Many people still don’t know that you can use these messaging apps in your browser. So Opera is going to make these web interfaces more visible. I think many users are going to find it useful. As for the new user interface, I’ve been using it for a few weeks and it looks great on Windows 10. On macOS, I’m not so sure about the changes. With sharp angles and solid colors, it doesn’t feel like a native app. The icons and Speed Dial designs are also new. And there’s a new dark mode if you like black toolbars. Opera has been one of the most used browser on mobile, though it has the same look on all platforms, it is still struggling on Desktop. This update feels a bit more like Chrome and promises better performance.